Ulrich Schoof is CEO and Co-Founder of sentibar – a market research platform for opinion survey news and data. He is a serial entrepreneur, investor and experienced manager, with a history of working in various organisations and places. 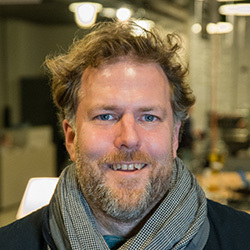 Before starting his own companies, Schoof worked for the Bertelsmann Stiftung in Gütersloh, the United Nations in Geneva, the EU-Commission in Brussels and the European Parliament in Luxembourg. Schoof holds a master’s degree in European Studies from the University of Osnabrück and a further master’s in Business Administration from the École Supérieure de Commerce of Poitiers in France. He obtained a PhD through a scholarship programme run by the German Research Foundation (DFG). He is lead author of various economic and business publications.